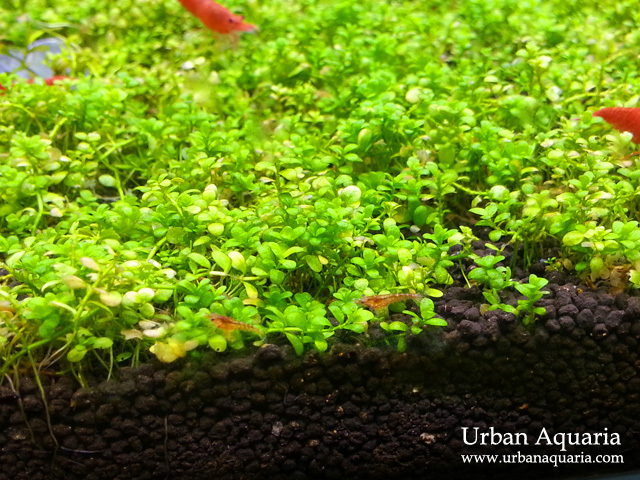 The new batch of shrimplets have grown large enough and started to surface out of the HC carpet to graze on the top layer... previously they were hiding inside the HC carpet enjoying all the nutritious microscopic foods that grow there and only popping out occasionally to check for predators. 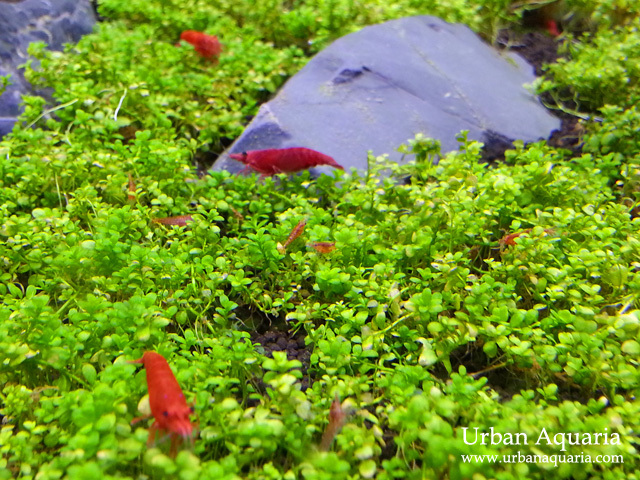 The dense HC carpet offers alot of protection against fishes, this ensures a very high survival rate for the shrimplets (especially in community tanks with a mix of fauna). I would estimate from their size and colors that these shrimplets are probably around 3-4 weeks old, large (and brave) enough to move around the tank on their own without getting bothered by the fishes. In total, i have counted around 25+ juvenile shrimplets separately scattered across the tank so far (there are probably alot more smaller ones that i still haven't spotted yet), quite a good breeding rate considering that i only introduced in a batch of 30+ adult shrimps 8 weeks ago and there were no special attempts to breed them.